Every year, winter seems to last longer, right? Spring is finally in the air and I couldn’t be more eager for its arrival! Not only the season’s freshest ingredients are suddenly available to enjoy again, but also wildflowers have started to bloom, covering the whole forest floor with colorful spots. I really look forward to this time of the year, when nature comes back to life and the weather starts warming up. It’s certainly a wonderful time of the year to go outside and tend to explore all the changes that are taking place and watch everything come to life after the wintry winds. So today I invite you to take off your huge jumpers and thick socks, to walk with me along the woods in search of limestone, marble and other natural stones! Who knows? We can possibly use them to create a a mosaic stepping stone, taking us from wither to spring! Bluebirds are a sign of spring; warm weather and gentle south breezes they bring! What better way to start an A to Z list of spring than with the bluebird? Bluebirds do not come north until all chance of winter has passed and they are assured an ample food supply. This bluebird mosaic design is fully handcrafted by the professor mosaicist Michael J. Kruzich! His natural attractions lean toward figurative renderings. 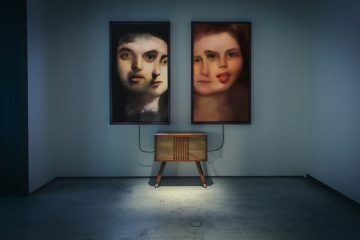 Whether figurative or abstract, his mosaics are often about fusing ancient techniques into contemporary themes and subject matters. Thus, is quite obvious in this spectacular mosaic! Spring has sprung, sings a butterfly! Warmer weather brings us many of our favorite species: birds, blossoms and best of all baffled butterflies! For me, the first sight of a bumblebee or butterfly is also a spring rite of passage. Contemplating these flower-loving creatures out and about, makes not only my day but my whole week! 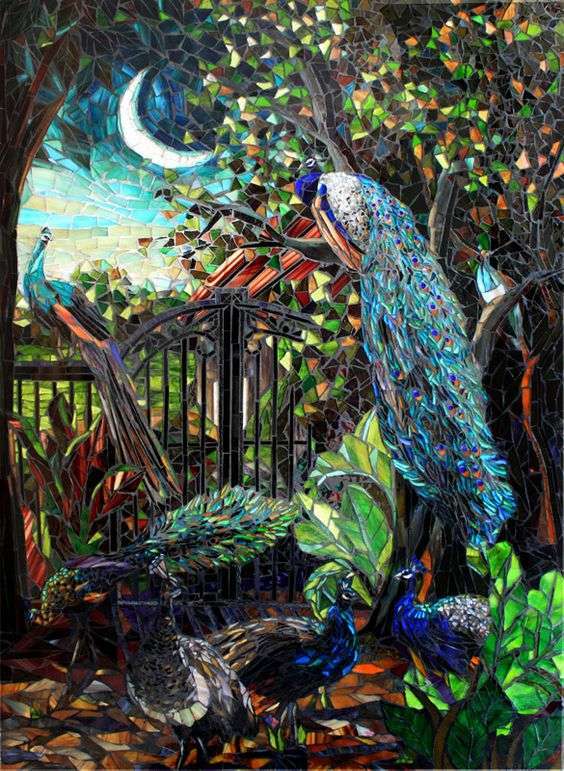 This is another spectacular mosaic artwork, fully handcrafted by Mozaico’s professional artisans. There is not much out there that is more precious and stunning than a butterfly. 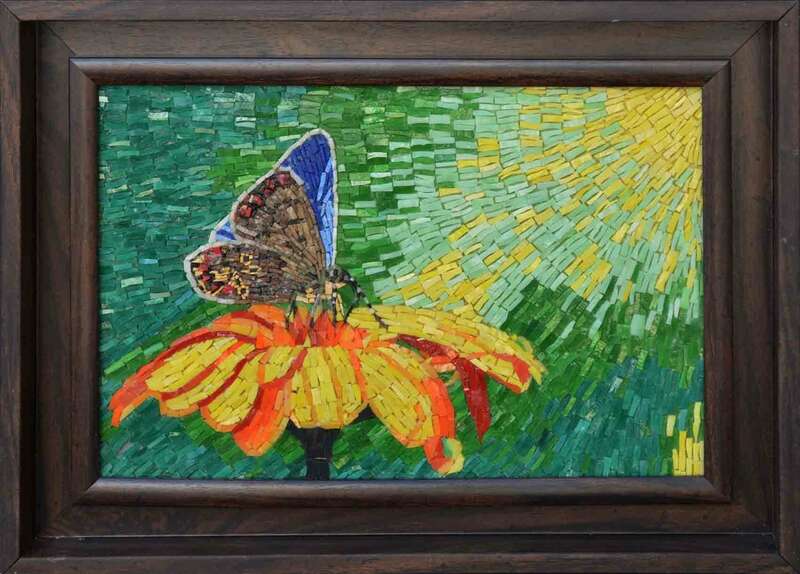 The variety of colors make this artwork an interesting subject within a micro mosaic technique. Its wings as thin and light as silk and its body the color of rainbow! Beautiful close up view of a dragonfly created from various types of marble. Beautiful abstract sky background and interesting off-center positioning of the insect create a unique composition. Each piece in the wings has been cut down to a circle to capture the one of a kind beauty of the dragonfly’s most prominent feature. 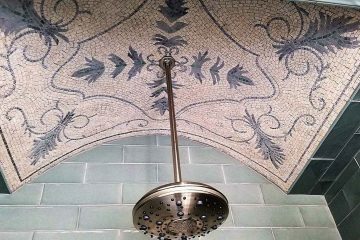 This mosaic is fully handcrafted by the ingenious mosaicist at Mozaico. Early spring bugs and nectar! A less iconic insect but in its own way as fascinating as the butterfly or the bee is the ladybug. It begins its life in an egg laid close to a bee nest. After hatching, the larva climbs up a flower and then hitches a lift on a bee’s back to the bee nest. Here it will spend the rest of its life feasting on pollen and nectar! A speckled spectacle of spring! You know spring is in the air when you hang the first batch of nectar for the season. As for hummingbirds, it certainly helps you to witness early blooms out in your plot. Yearning for these spectral species? You might be able to attract them right away. As soon as they stop to nest, you’ll enjoy them all summer! 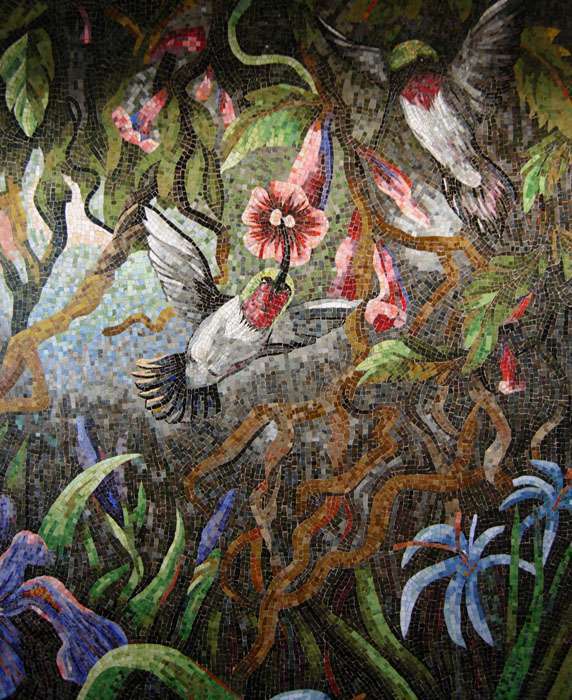 Below you can notice a phenomenal mosaic illustrating with tiles two hummingbirds. 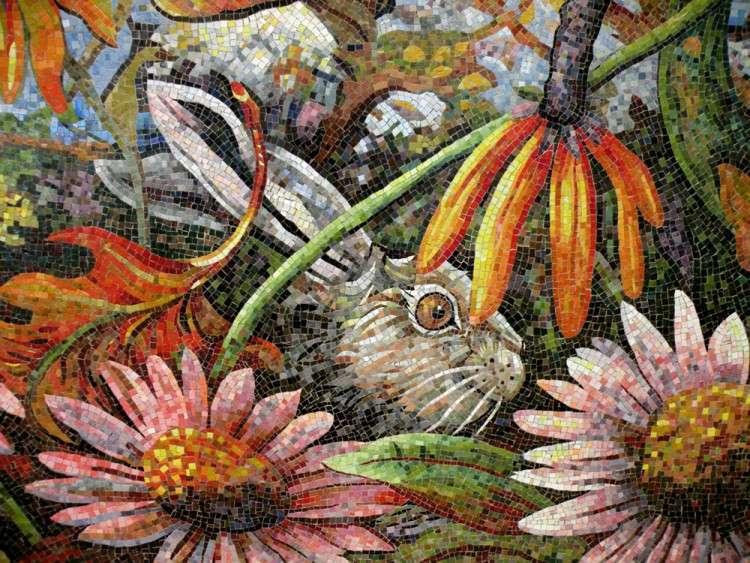 This mosaic makes part of a mosaic mural by Dixie Friend Gay installed at Bush International Airport. It has always been known that a chock-a-block and colorful plumage indicates the health and strength of a bird. As for larger species such as turkeys and peacocks, both are known for flashing their brilliant fans of tail feathers as a display of dominance and pride as well. It’s also known that peacocks show their affection to one another or a potential mate during the spring season! No list of bloom would be complete without the mythical bird – The peacock! 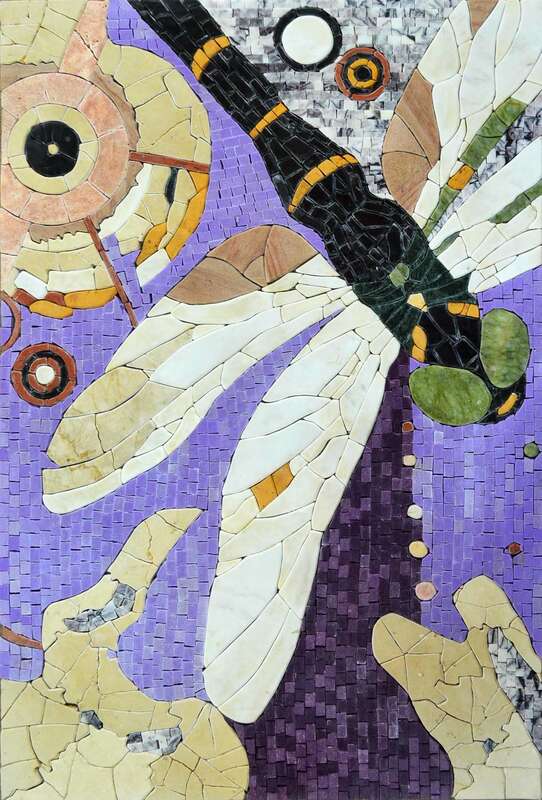 This spectacular mosaic hummingbird, fully handcrafted by Carl and Sandra Bryant. 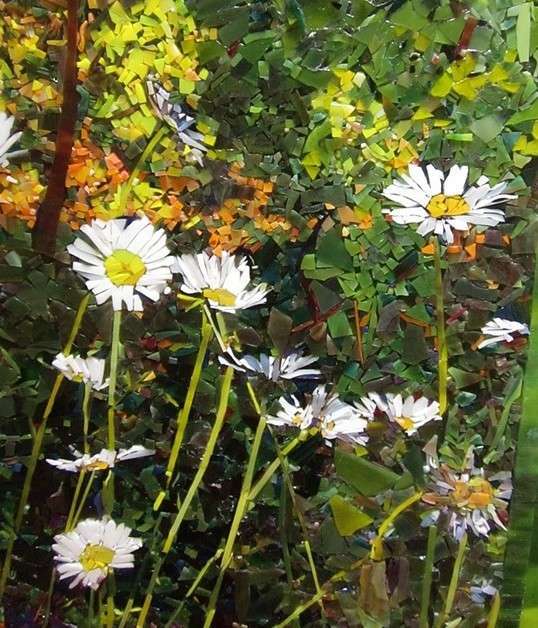 Both artists are specialized in contemporary mosaic art. They create glass and ceramic tile mosaics for commercial and public as well as residential spaces. Irises Bring Goddess of the Rainbow into Your Garden! As soon as you start seeing irises and daffodils pushing up through the ground, it’s a sure sign that spring is on the way. Anyone who studies Greek mythology learns that Iris is the name of the Goddess of the Rainbow, surely one of the best assignments on Olympus. And because of the great elegance of the iris bloom, it has been the symbol of monarchs and royal families throughout history. 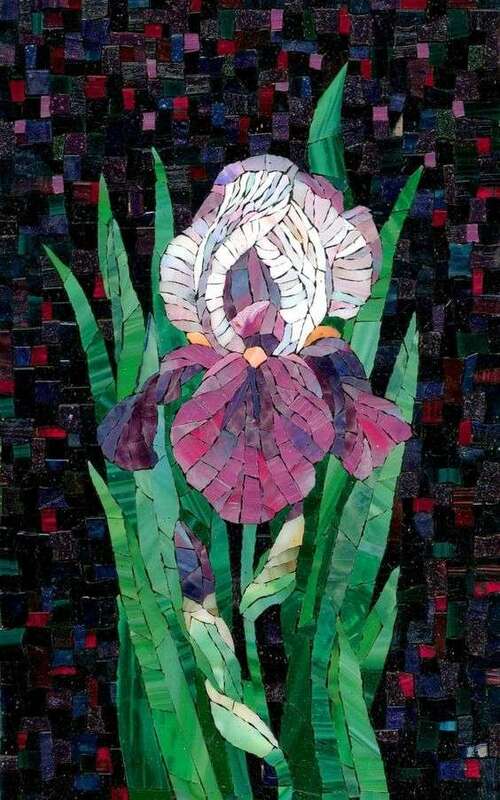 This Iris mosaic was delicately handcrafted at St. Petersburg Interior mosaic art studio: ARTMONUMENT. The studio has been creating artistic mosaics of glazes and stained glass in the classical technique. Visualizing The Humble Comb Of Honey! Warmer weather brings us many of our favorite things, and one of these things is the divine Bee! Sometimes, enjoy the color and vibrancy of spring is not possible without listening to bees buzzing and birds chirping. The variety of flowers on offer in spring is irresistible for bees, and they rely heavily on flower nectar in the early part of the season. Bees also play a vital role in pollinating our beautiful garden flowers, fruit and vegetables. 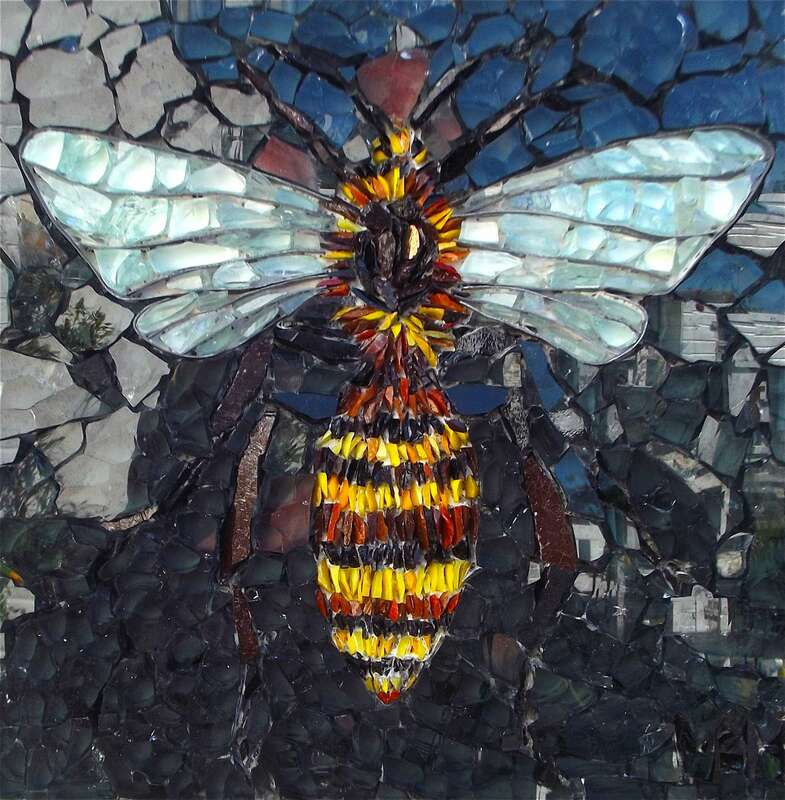 This bee mosaic design was fully handcrafted by the talented visual artist; Kimmy McHarrie. 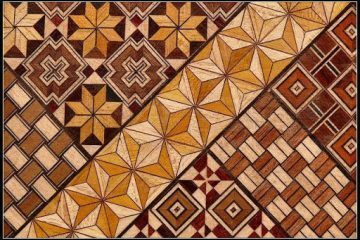 The artist hand-makes mosaics using traditional methods and materials. The artist uses Smalti (Venetian glass), marble, glass, stone, shell, terracotta and any found objects of interest. How do you foretell the coming of spring? Every year, I enjoy hearing what readers from different regions have to say! While daisies are my first tactical reminder that winter will eventually fade. Have you stumbled upon the countless cheerful dandelions coloring the fields with white and yellow degradation? Daisies are long lasting, bright and blooming plants all through the year, a favorite of every gardener. Daisies belong to the family of Chrysanthemum; they signify the commencement of spring and the nearing of cheerful summer. The mosaic below illustrates the quintessential sign of spring and with their bright-colored blooms they’re sure to lift your spirits. Designed by Solly John Sollinger. Last but not least, it’s hard to imagine a well planted garden without several clumps of coneflowers! Easy, cheerful and now in an amazing array of shades, coneflowers sparkle throughout the summer in mixed perennial beds. 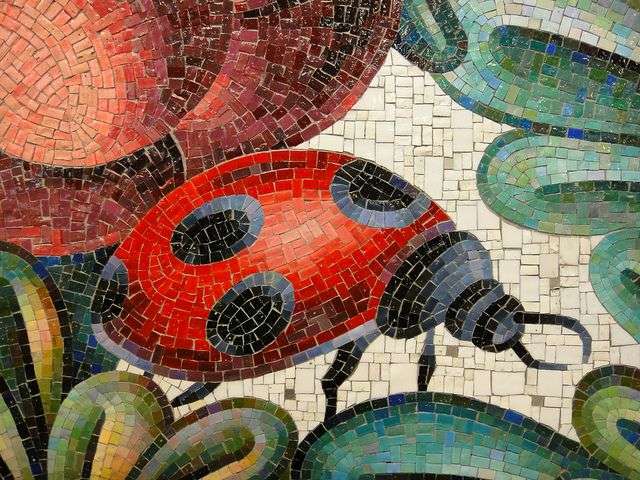 Drawn to the world of mosaic art in 2005, Cathy Taylor believes she has evolved the craft of mosaics to the art of mosaics. 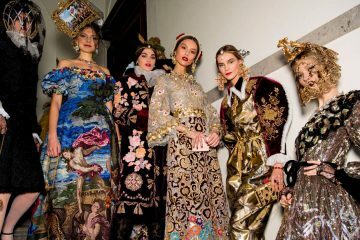 The artist has studied with North American and Italian masters to help her refine her style. 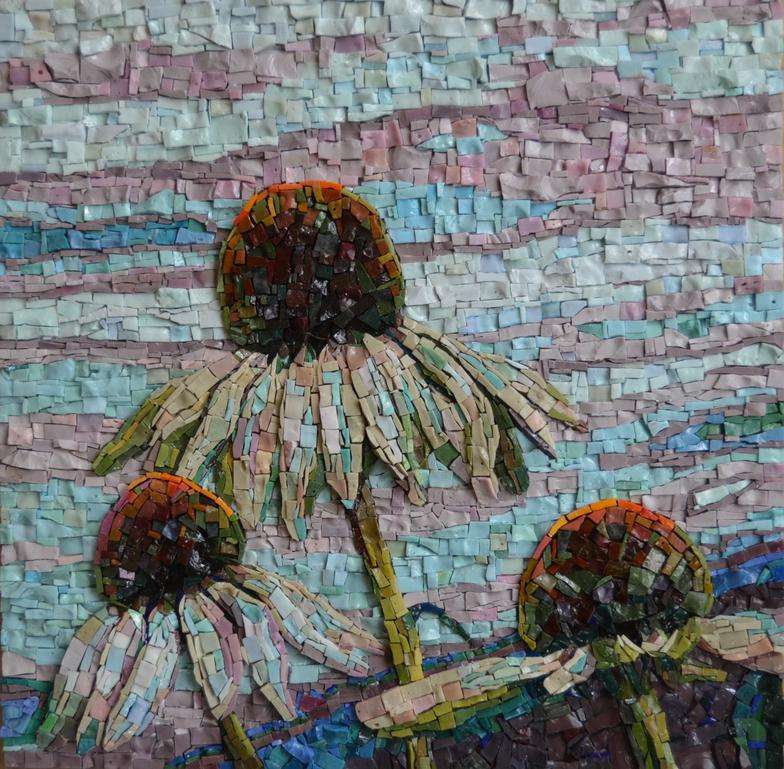 This mosaic Coneflower says it all! Spring follows the chilly days of winter and precedes the warm days of summer, this temperate weather makes us eager and passionately keen to renovate and decorate our home ornaments or even create artworks. How has spring been for you so far? Point out your thoughts in the comment box below! Looking for other decor ideas to inspire you in your spring special decoration? Find your Spring Color Palette to make your home fall into the warm or cool part of the color spectrum! Don’t Forget to Subscribe to our Newsletter for More Updates on Mosaic Art, Decor, Creativity and Much More! You can also explore Mozaico for mosaic art of your own!